Explicit Yes But Why ep 139 Nathan Keates is addicted to improv. This week’s Yes But Why Podcast episode features Nathan Keates, an improviser, performing arts teacher, and clown from the UK. Nathan shares stories about convincing his college to teach him improv as an independent study and starting Spontaneous Theatre Company in Bristol with his pal, Lindsey Garwood. Listen in as Nathan tells Amy how improv has permeated all aspects of his life and fueled him to do research on clowning, open space technologies and working with autistic students. Enjoy this ... See More fun interview! 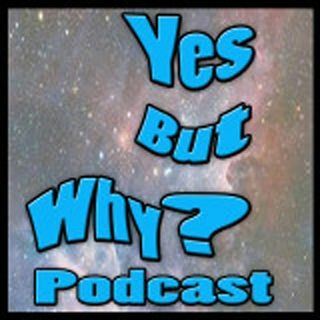 The Yes But Why Podcast is a proud member of the HC Universal Network family of podcasts. Download the FREE HC Universal Network app for Android and iDevices or visit us at HCUniversalNetwork.com and join the fun.